The special sports car was unveiled in Sorrento Valley. He climbs out of a brand new edition Lamborghini, in his personalized shirt with the famous car maker’s logo, to a small crowd of very successful men waiting for pictures and autographs. Walking toward us while tucking his shirt in, he chats softly with colleagues in Italian before immediately turning his attention to us. “Today we are here to introduce our new, limited edition car,” he tells us. He is the BMOTL (Big Man On The Lot) at the Sorrento Valley Symbolic Motor Car Company Service Center Wednesday, August 19. His name is Valentino Balboni and the new edition of Lamborghini he is unveiling to the San Diego customers is a car created in his honor. An employee since the company's beginnings, Balboni has been with the company in over 40 years. He started test-driving for Lamborghini in 1968. Naturally, Lamborghini included San Diego on its tour. 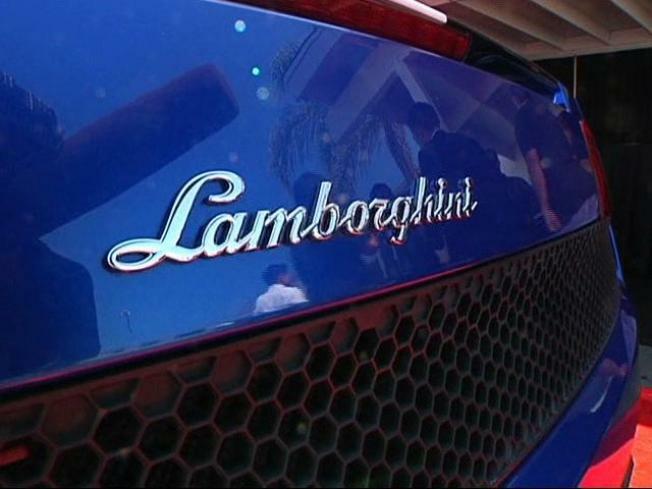 Our county is a top market for Lamborghini because of its location in Southern California. This region is one of the car manufacturer’s largest markets in the U.S. according to Amada. The new car, Gallardo LP 550-2 Valentino Balboni, is priced at $250-270,000 and is unique in more than name alone. The car requires a different driving technique that’s a little more demanding, according to Balboni. “But it pays you much more in terms of reaction and feelings and makes you participating on the active life of the car,” he explains. Lamborghini produces only 2500 cars for customers around the world. Of those cars, roughly 30 percent are bought in the U.S. If you’re interested in the special edition super sports car named for Balboni, there will be only 250 made. Of those, San Diego customers will have the option at only a handful.